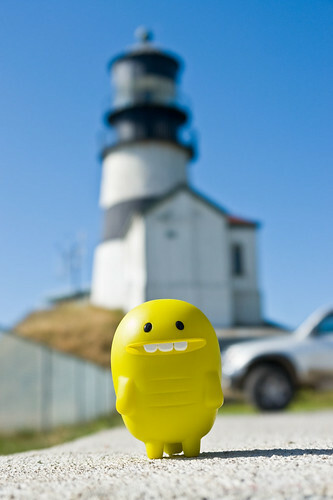 Uglyworld #816 - Turtle at Cape Disappointment Lighthouse, originally uploaded by www.bazpics.com. Turtle promised the editor of Turtle Time Magazine back on Uglyworld that he would be supplying several new photographs from his travels this weekend (as always his photo's are accompanied by his amazing stories). I'm currently in talks with the management team of Turtle Time Magazine to bring you all online copies of the magazine including the photography that I shoot of Turtle out on his adventures, stay tuned as I hope to have the deal signed and sealed in the next few weeks. Uglyworld #814 - "It's This Bigs"
Uglyworld #812 - "Is You Not Comings?" Uglyworld #811 - "I'm Going Ups Here"
Uglyworld #809 - "I Can See's Further With This"